Primary infections caused by rubella and cytomegalovirus (CMV) can lead to serious complications due to their potentially teratogenic effects during pregnancy. Rubella and CMV screening of pregnant females is not routinely carried out in Turkey. The purpose of this study was to determine the prevalence of rubella and cytomegalovirus in Izmir among pregnant and antenatal females, and to review seroprevalences reported from different regions of Turkey. Between January 2011 and December 2015, we retrospectively evaluated anti-rubella antibodies and anti-CMV antibodies of pregnant and antenatal females. Females aged 18-45 years were included in the study. Rubella and CMV IgM and G antibodies were tested using the IMMULITE® 2000XPi İmmunoassay System. Rubella IgG and rubella IgM seropositivity were detected in 16,255 (96.5%) of 16,845 and in 206 (1.1%) of the 18,720 pregnant and antenatal females, respectively. Positivity for the anti-CMV IgG and anti-CMV IgM antibody were found in 11,950 (98.7%) and 40 (0.3%) of 13,412 females. In conclusion, this study showed that in our province, a high percentage of pregnant and antenatal females had been exposed to rubella and CMV prior to reaching a child-bearing age. Rubella and CMV seroprevalences show a relatively homogeneous distribution throughout Turkey. Agca H. (2011). Investigation of Rubella and Cytomegalovirus antibodies in women in their reproductive age. Turk Mikrobiyol Cem Derg; 41(1):15-17. Akıncı P, Altuğlu I, Sertöz R, Zeytinoglu A. (2007). Rubella and cytomegalovirus infection in pregnant in Izmir, Turkey. Turkish J Infect; 21:183-186. Alanen A, Kahala K, Vahlberg T, Koskela P, Vainionpää R. (2005). Seroprevalence, incidence of prenatal infections and reliability of maternal history of varicella zoster virus, cytomegalovirus, herpes simplex virus and parvovirus B19 infection in South-Western Finland. BJOG; 112(1):50-56. Ali S, Khan FA, Mian AA, Afsal MS. (2014). Seroprevalence of cytomegalovirus, herpes simplex virus and rubella virus among pregnant women in KPK province of Pakistan. J Infect Dev Ctries; 8(3):389-390. American Academy of Pediatrics (2007). American College of Obstetricians and Gynecologists. Guidelines for perinatal care. 6th edn. Elk Grove Village (IL): AAP; Washington, DC: ACOG. Barreto J, Sacramento I, Robertson SE, Langa J de GE, Wolfson L, Schoub BD. (2006). Antenatal rubella serosurvey in Maputo, Mozambique. Trop Med Int Health;11:559-64. Best J. (2007). Rubella. Semin Fetal Neonatal Med;12(3):182-192. Cannon MJ, Schmid DS, Hyde TB. (2010). Review of cytomegalovirus seroprevalence and demographic characteristics associated with infection. Rev Med Virol; 20(4):202-213. Efe Ş, Kurdoğlu Z, Korkmaz G. (2009). Seroprevalence of cytomegalovirus, rubella and Toxoplasma antibodies in pregnant women of Van region. Van Tıp Dergisi; 16:6-9. Estripeaut D, Moreno Y, Ahumada Ruiz S, Martínez A, Racine JD, Sáez-Llorens X. (2007). Seroprevalence of cytomegalovirus infection in puerperal women and its impact on their newborns An Pediatr (Barc); 66(2):135-139. Karabulut A, Polat Y, Turk M, Işık Balcı Y. (2011). Evaluation of rubella, Toxoplasma gondii, and cytomegalovirus seroprevalences among pregnant women in Denizli province. Turk J Med Sci; 41(1):159-164. Kenneson A, Cannon MJ. (2007). Review and meta-analysis of the epidemiology of congenital cytomegalovirus (CMV) infection. Rev Med Virol; 17(4):253-276. Kim CS. (2010). Congenital and prenatal cytomegalovirus infection. Korean J Pediatr: 53(1):14-20. Montoya JG, Kovacs JA, Remington JS. (2005). Toxoplasma gondii. In: Mandell GL, Bennett JE, Dolin R, eds. Principles and Practice of Infectious Diseases. 6th edn. Philadelphia: Else¬vier Churchill Livingstone; pp. 3170-3198. Ocak S, Zeteroglu S, Ozer C, Dolapcioglu K, Gungoren A. (2007). Seroprevalence of Toxoplasma gondii, rubella and CMV infections among pregnant women in southern Turkey. Scand J Infect Dis; 39(3):231-234. Özdemir M, Kalem F, Feyzioğlu B, Baysal B. (2011). Investigation of viral pathogens during pregnancy in a city region in Turkey. Anatol J Clin Investig; 5(2):78-81. Pedranti MS, Adamo MP, Macedo R, Zapata MT. (2007). Prevalence of anti-rubella and anti-parvovirus B19 antibodies in pregnant women in the city of Córdoba, and in women of fertile age in the city of Villa Mercedes, province of San Luis. Rev Argent Microbiol; 39(1):47-50. Pehlivan E, Karaoglu L, Ozen M, Gunes G, Tekerekoglu MS, Genc MF, (2007). Rubella seroprevalence in an unvaccinated pregnant population in Malatya, Turkey. Public Health; 121(6):462-468. Picone O, Vauloup-Fellous C, Cordier AG, Parent Du Chatelet I, Senat MV, Frydman R, (2009). A 2-year study on cytomegalovirus infection during pregnancy in a French hospital. BJOG; 116(6):818-823. Sasmaz T, Kurt A, Ozturk C, Bugdayci R, Oner S. (2007). Rubella seroprevalence in women in the reproductive period, Mersin, Turkey. Vaccine; 25(5):912-917. Surpam R, Kamlakar U, Khadse RK, Qazi MS, Jalgaonkar S. (2006). Serological study for TORCH infections in women with bad obstetric history. J Obstet Gynecol India; 56(1):41-43. Tamer GS, Dundar D, Caliskan E. (2009). Seroprevalence of Toxoplasma Gondii, rubella, and cytomegalovirus among pregnant women in western region of Turkey. Clin Invest Med; 32(1):E43-E47. Uyar Y, Balcı A, Akçalı A, Cabar C. (2008). Prevalence of rubella and cytomegalovirus antibodies among pregnant women in northern Turkey. New Microbiol; 31(4):451-455. ISNAD GÜNGÖR, Serdar , UZUN, Berrin . "Seroprevalence of Antibodies for Rubella and Cytomegalovirus among Pregnant and Antenatal Females in Western Turkey". 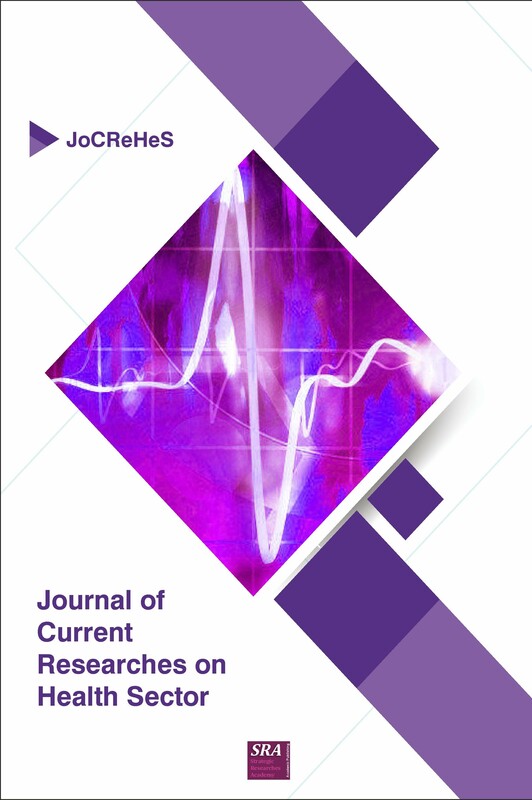 Journal of Current Researches on Health Sector 8 / 1 (March 2018): 51-58.